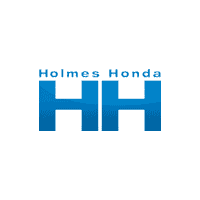 Drivers can come to Holmes Honda Bossier City for all of their service and maintenance needs. We employ a team of fully certified Honda technicians that can make repairs and identify problems before they get too serious. Our team will keep your car running just like new until you’re ready for an upgrade. Thank you for making your way to Holmes Honda Bossier City, your certified Honda dealer serving drivers throughout Bossier City and the surrounding areas. At our dealership, you’ll find a solid selection of new Honda for sale, as well as a carefully inspected lineup of pre-owned vehicles. We also have a well-connected finance center run by a qualified team of finance experts, who can help you get the right loan or lease in a quick, easy, and transparent manner. Our commitment to our customers continues well beyond the date of purchase. We also have a professional team of Honda technicians on hand with the skills and equipment to handle all manner of maintenance and repairs, as well as a full stock of authentic parts. Make your way to Holmes Honda Bossier City in Bossier City today for quality vehicles, a friendly team, and professional service at every step of the way. And if you have any questions for us, you can always get in touch at (318) 963-5669. Holmes Honda Bossier City is proud to partner with various charitable organizations and fundraising events in the Shreveport-Bossier City and surrounding areas. We are committed to serving our community, and do so through monetary donations, volunteer work and supporting a multitude of events. If you would like for Holmes Honda Bossier City to sponsor your organization or event, please click the button to find more information below.